Explore how the world functioned before Google maps, as you lay your hands on antique maps, rare antiquarian books, globes and atlases. More than 30 outstanding map dealers will be present at the fair. International speakers will share their expertise on map imaging, map collecting and more. Full access weekend passes, VIP passes and single day tickets are available for reservation. Get ready to enjoy three days of live music on the beach. Grammy award-winner, Snarky Puppy will be taking centerstage for a world premiere of their latest, unreleased album. All 3 nights will feature 3 different lineups. Catch the likes of Andrew Bird, Lalah Hathaway, Richard Bona, David Crosby, House of Waters, The Funky Knuckles and more, live in action. It’s the month of love and Miami’s roster of offers does not disappoint. From romantic getaways to couple’s massages and candlelit dinners, there’s something for every taste to make this Valentine’s memorable. Browse through these special offers from around town to plan the perfect date that will keep your sweetheart and wallet brimming with happiness. 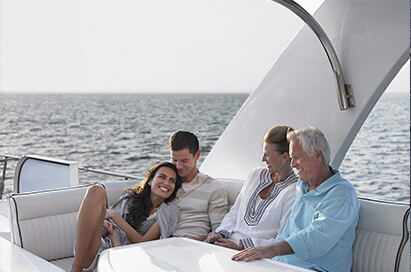 Gear up for a different kind of Valentine’s spent under the sun, in the company of world-class boats. Find the finest collection of powerboats and sailing products from over 170 marine brands assembled at this annual event. Introductory seminars to free sailing lessons and an exceptional culinary spread make this an affair to remember. Not much into powerboats? Find a more luxurious experience waiting at the Miami Yacht Show. Check out the latest in super yachts, luxury yachts, mega yachts and marine technology at this four-day event, which are on display for the taking. There’s even a “yacht of love” opening party on the 14th to make sure your valentine feels involved and special too. Make a date with art at this annual event. Running alongside the debuting Yacht Show, this is one of Miami’s finest art events. Browse through and contemplate upon hundreds of contemporary works on display from more than 70 international galleries. A great way to impress your art-loving sweetie. This vibrant art festival tops the list of must-see events for most locals and tourists. One of the largest outdoor art events in the country, spend the weekend immersed in great art, live music, fun activities for the family and fabulous local eats. Welcome the Year of the Pig with lion dances and tai chi demos at this colorful celebration. Dragon parades, acrobatics, oriental arts and crafts, calligraphy, lots of food and activities for the kids make this a cultural event the entire family will enjoy. This is one of the most highly anticipated food festivals of the year. With more than 100 events spanning Miami-Dade and Broward counties, the 18th edition of this annual event is ready to dazzle your taste buds. You get to spend five full days noshing on delights prepared by celebrity chefs, besides attending star-studded brunches, dinners, cocktail parties, wine tastings, VIP galas and late-night parties. Special seminars also give you a taste of the inside story on your favorite food and wine. Another lively arts festival, this annual event is now in its 35th year running. Check out works on display by over 150 artists at this outdoor festival, which also features live jazz performances, a beer garden and an expanded food court. Made your choice yet on how you’ll be spending Valentine’s month? Let us know in the comments below!